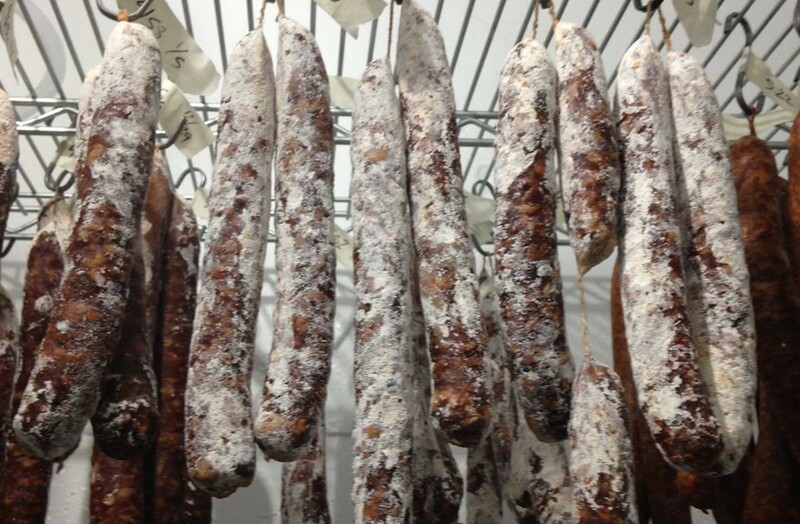 The challenge- to work amongst other online food bloggers to make one recipe a month out of Michael Ruhlman’s “Charcuterie: The Craft of Salting, Smoking and Curing”. I’ve had the book for many months, and have made a couple sausage recipes out of it with much success. However, this is the first I have delved into the art of curing meat in my own kitchen. When I found the link through www.punkdomestics.com , I was excited to find that their first post of the year involved this charcuterie challenge through another website called mrs.wheelbarrow. Here it is, what I’ve been waiting for, at my feet and begging for my participation…charcutapalooza. The name not as cool as the project, I decided to partake anyway. Welcome to The Punk Rock Food Forum!